It is once again Friday (did this week fly by or what?) and I have another Fit Friday post! I have really been loving doing these because I've been super motivated with fitness for the past couple of years. I always swam and danced as a kid, so when I got to college I really wanted to make sure that I stayed fit. This meant I would have to learn how to use the gym - I never had to use it before because I always had my sports to keep me in shape. It can be hard to get up every single morning to go and work out, but it's definitely worth it when you feel energized and happy afterwards. 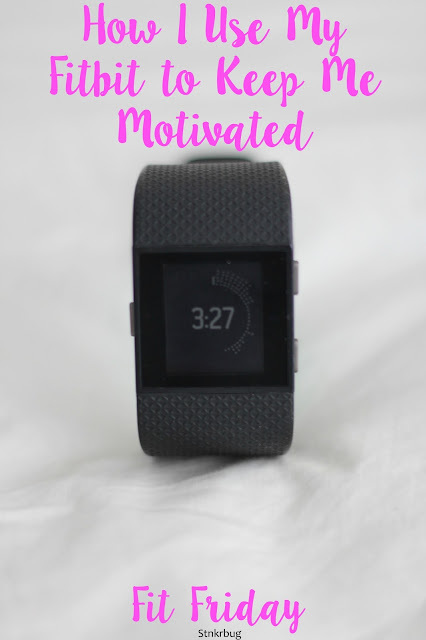 Because it can be hard to stay on track, I love to use my Fitbit Surge to keep me motivated! I am the kind of person who is really self-motivated and goal-oriented, so I love beating my own personal records from my Fitbit. Since my Fitbit keeps track of my daily steps, my first goal is to get to 10,000, and then I like to try and beat my previous day's steps. This keeps me constantly in motion, and really helps to keep my day on track! I workout everyday but Friday (it's important to have a rest day!) and I use my Fitbit to keep track of my exercise. I run about three miles, and then do workouts for my abs, legs, upper body, etc., depending on what day it is. It's really cool to see how I am progressing with how fast my miles are, if I run a little bit farther, and how many calories I burn. The calories part I tend to focus less on because it isn't the reason why I work out; I like to stay in shape because I like how I feel mentally and physically when my body is at its best. Staying in shape allows me to stay motivated in all aspects of my life, gives me energy, and makes me a whole lot more happy! There are also a ton of settings that Fitbit's have, so I can choose which activity I'm doing in order for my Fitbit to better track my heart rate, and other stats. This is so helpful for when I'm running, doing general workouts, biking, or doing yoga! I have been doing a lot of different kinds of exercise so it's awesome to have all of the different settings to choose from so I can best track my workouts. It's cool to compare all of my workouts, too, and compare how I feel physically to all of the stats. 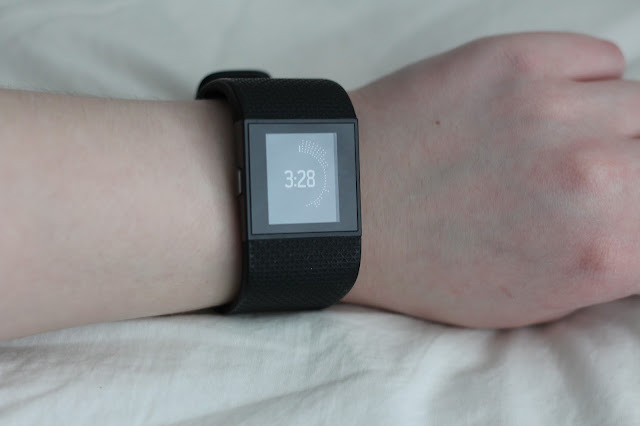 During my workouts, my Fitbit tracks my heart rate, which is really important. I can make sure my heart rate isn't too high, and that I'm not pushing myself too hard. It's also great to look back on and compare all of my workouts of the week, and see where I can improve upon. It's also important to know what your maximum heart rate is for your age so you don't exert your heart too much. My Fitbit helps me with this, since it tells you what your peak heart rate during a workout is, and displays your heart rate in charts and graphs, so you can easily track your progress throughout a workout. One feature I really love is the "Free Run" selection, because it tracks my location through GPS, and tells me how far I've ran and all that. It also does this on the treadmill, and lets me know my mile splits. All of the sub-sections under "Run" are really great and useful to use, and are designed really well! Under "Exercise" there are a lot of sub-sections as well, and the "Hiking" selection tracks your location through GPS like the running one, so it let's you know how far you've hiked! I really love that feature since I go hiking a lot with my friends. 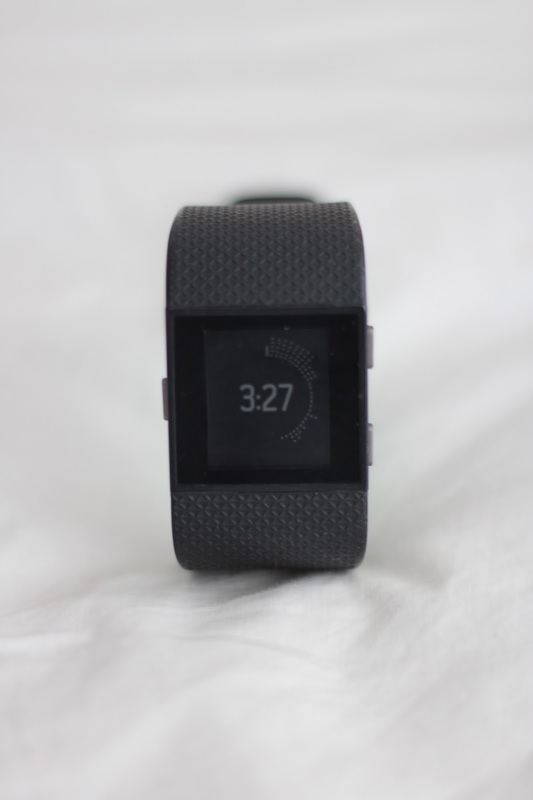 Fitbits also track your heart rate, calories burned, steps taken, and miles walked throughout the day, so it's fun to see your stats at the end of the day. 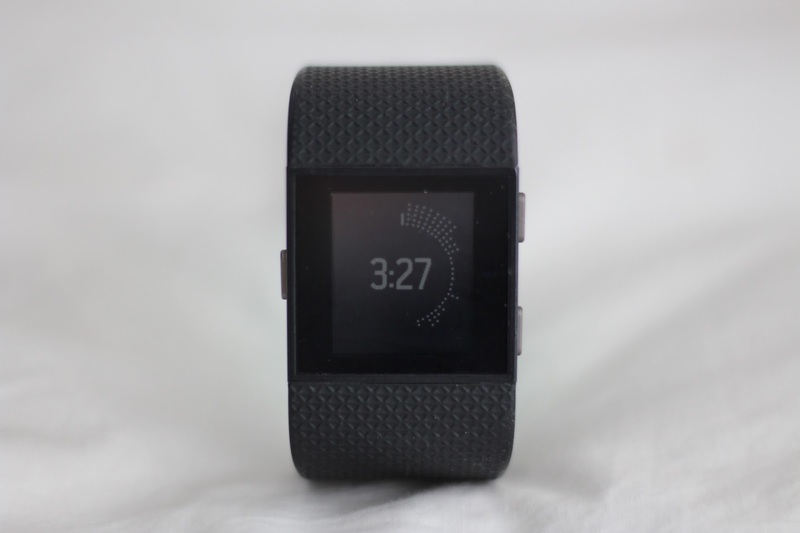 You can swipe through all of the stats right on the Fitbit screen, so you can track them during the whole day. I track my steps more than I care to admit, because I really like hitting that 10,000 step marker. Your Fitbit vibrates like a mini-celebration once you've hit 10,000 steps, so it makes you feel very accomplished haha. The regular clock display is also really cool, because it's a visual representation of your heart rate throughout the hour. As you can see in the photo above, my heart was really going at the beginning of the hour because I was walking back from class, and then it slowed down to my resting rate once I got back to my dorm. That feature is really cool to me, because I love seeing how my heart rate has differed throughout the hour without opening the Fitbit app on my phone. All in all, I am pretty much addicted to my Fitbit, which I'm perfectly fine with. It keeps me motivated, which helps me stay on top of my workouts, and by extension, my fitness and wellbeing. Being in shape is important to me because I feel more energized, and I am able to do so much. Taking care of your body is a great way to love yourself, which you guys know I am all about. With my immune system being so terrible as well, staying in shape helps it out a little bit so it can fight off pesky colds more quickly. 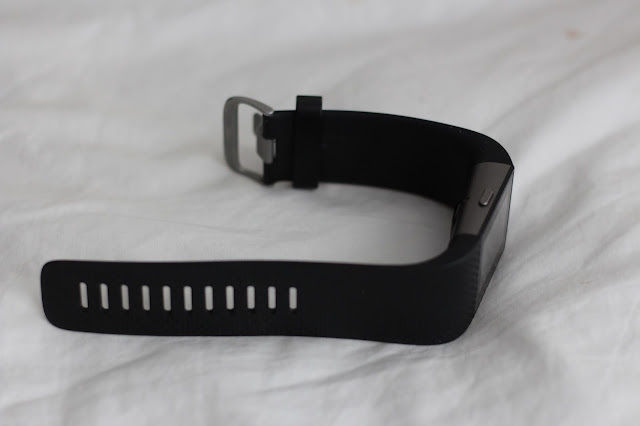 Have you ever used a fitness tracker?